Genre: Young adult (but the type of book anyone can read and enjoy). Target age: I would say anyone. 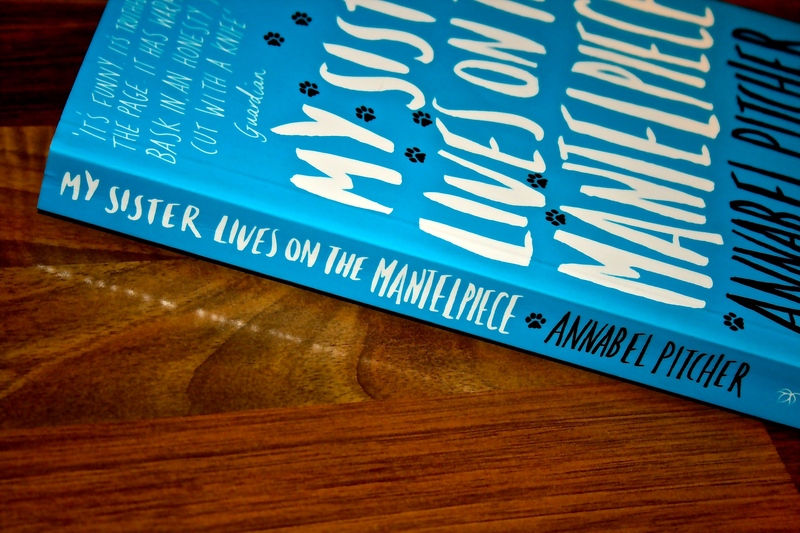 Summary: ‘My Sister Lives on the Mantelpiece’ is about a young boy, Jamie, who is learning a lesson about grief from his parents who are mourning their daughter’s (his sister) death. He is trying to understand what is going on in his family and why his parents act in certain ways. My opinion: This is one of those heart-warming books which can bring out all sorts of emotions. Jamie is such a loveable character and he’s so innocent. I absolutely adore books that are written from a young child’s perspective, hence I loved this book. I read it a while ago – last summer – but it’s one of those books that I will definitely go back to and read again as it made such a big impression on me. 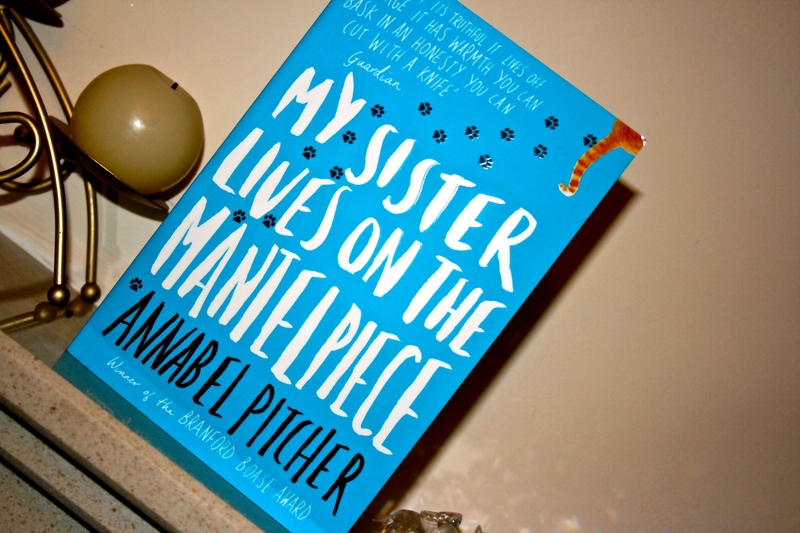 Annabel Pitcher is an author who I’d heard so many good reviews about, but I’d never read anything she’d written, so last summer I saw this book and bought it… Now her other book “Ketchup clouds” is sitting on my bookshelf, waiting to be read. I love the narration of this novel; it perfectly captures the ten-year-old innocence, the confusion, the anger and all of the other emotions. 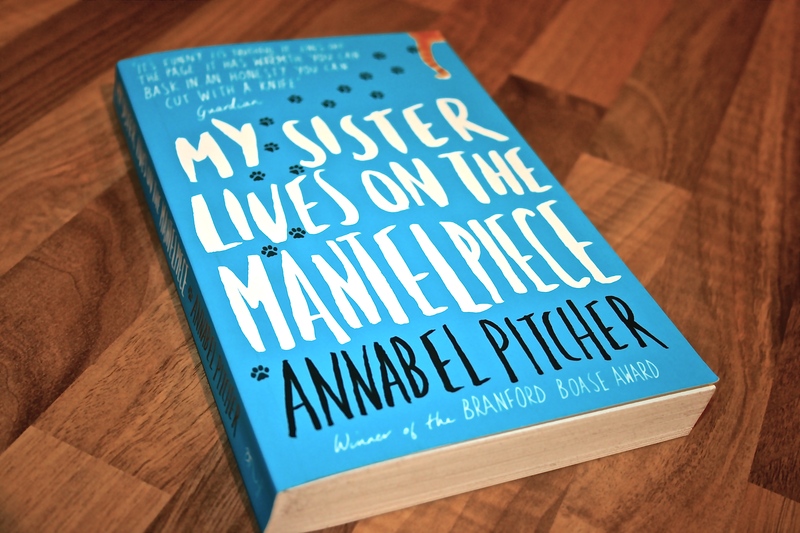 It’s not a long book – I read it in a day – but I was on holiday, with nothing else to do other than sit back and read, so that’s probably why. It was a good holiday read though; I guess if you want something mindless and not at all heavy then this isn’t the best choice, but it’s not a bad one either. If you don’t want to read it on holiday, I would definitely say read it when you get home! I think there are some books that are aimed at a target audience, such as young adult, like this one, however they can be read and enjoyed by anyone of any age. This is one of those books for sure. Whoever you are, if you want a book to read, then give this a go. I really did enjoy it. I adore writing and I always feel so much better when I actually sit down to write, but I rarely seem to do so. This year I’m going to try really hard to post on here every weekend, even if it’s a short post, or a review, or something random, providing I post. I’ve got a lot of books this christmas and birthday and when I have read them I am going to post reviews for as many as possible! They are mostly young adult, but I’ll try and review other types of books, such as the smoothie book I was given for my birthday! (I just need to try some recipes first!) Also, if there is a film or product I have particularly liked or disliked, I may review that… I don’t really know! Also, once I’ve actually got a collection of pieces, I’m going to try an upload a piece of creative writing onto here midweek, although I want to have a backlog first as I don’t want to do it once and then not have anything after that! Again, these may be poems, very short stories, or even longer stories! They may be descriptive or more narrative, I’m one of those people who randomly starts to write something and then goes along with it! I’m also going to try to make more youtube videos of poems and maybe try to upload one a month; they take a lot longer because I need to get my friends together to film them! Thankfully this christmas I was given some books containing small writing exercises and things like that, so I’m going to try and fill those as well. I really do need to write more, I find that I actually get more ideas the more I write, and I improve! Okay, so I am aware that sounds like I’m into all sorts of illegal things and that I live off fast food and alcohol… I don’t! For one thing, I don’t even like fast food! By taking better care of myself I mean that I have more “me” time. I seem to spend far too much time doing pieces of homework every evening, and then I get stressed, or I have a late night, and then I’m exhausted the next day – it’s a vicious circle (I think I may have mentioned this in a previous post). As I get stressed so easily and quickly I’m going to try and allocate an hour maybe, every evening, in which I can sit back and maybe have a relaxing bath and light some candles, or read a book or listen to music. Something like that! Hopefully I’ll have a longer and better night sleep, which is what I need. I would also like to lose a little bit of weight and become healthier. I don’t need to lose weight, it’s just that recently, in the last few months, I’ve put a bit on which I would like to lose again! I have a really unhealthy diet; the meals are okay, but all of the snacks I eat, well, aren’t! I may not eat fast food, but I do eat chocolate in large amounts! So my plan is to work through the smoothie book (mentioned above) for healthy snacks and I’m also looking for a cookery book with low fat meals (any suggestions?). My plan includes trying to do some more exercise, but that’s a matter of time, and I’d rather spend my time writing! My room is a complete mess as well, so part of this includes tidying it and keeping it tidy, as an ordered room means ordered thoughts, so that’s another thing I plan to try and do to improve myself and be more calm! Possibly my worst habit is that I procrastinate. I don’t mean that I say “I’ll do it in a minute” and then do it after a minute, I’m the person who says “I’ll do it in a minute” and three days later it’s still not done. That pretty much sums up this holiday – I have three essays to get done (one in french) and so far I haven’t done any piece of homework… Oh dear. So my final resolution is to turn my phone off so that I don’t get distracted by minion rush (it is so addictive) or Facebook, refuse to allow myself to click on the youtube or twitter or Facebook pages when I open safari, and to focus my mind on the job at hand. This one is probably going to be the most difficult for me to fulfil, if I’m honest, because it is something that I don’t realise is happening until the time has gone, and I’ll have to be really forceful with myself. But I will try! I guess that if I manage to succeed with this then I’ll spend less time on each piece of homework and then I’ll have more time to properly relax – which can only be a good thing. It’s worth a try. I don’t know whether I’ll fulfil these or not, but my main aim is to try my best to do so. This is my first year in a few to actually set any, so that’s a step in itself. I’m looking forward to 2015; 2014 had it’s good and bad moments but 2015 is the year which everything from 2014 can be improved, learnt from, and left behind. The only thing I have left to say, until next week, is Happy New Year!